One Small Step for Kansai, One Giant Leap for You! 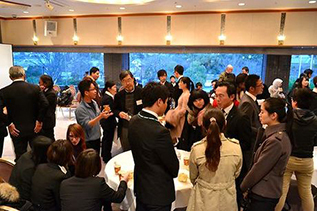 ※Participating companies may vary between the two events. Please make reservation for both events separetely. Q: Do I need pre-registration in order to participate? A: Yes! here is the page for pre-registration. Q: What do I need to bring? 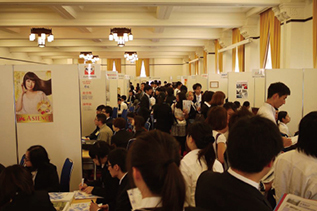 A: Stationery & Entry Sheet (we will send you the format to you after the pre-registration). Q: Do I have to come on time? A: No, you may join or leave at anytime you want. Q: What should I wear on that day? A: Casual (or suit if you prefer). Q: Do I have to bring my CV? A: No, but please print the entry sheet and bring it to the event. Q: I am not confident with my English, can I still join? 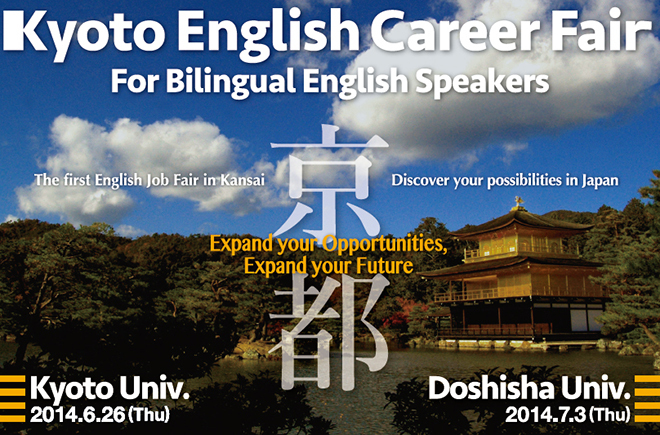 A: The whole Job Fair will be conducted in English. 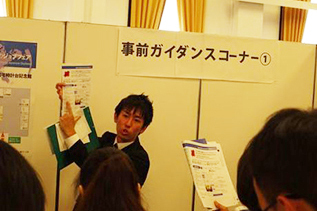 However, we are also holding another Job Fair in Japanese simultaneously. 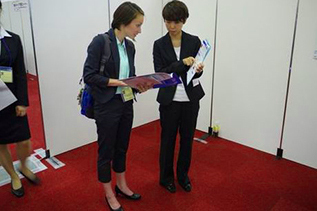 Q: Can I join the Job Fair even though I am not graduating in Oct 2014 or Mar 2015? A: Sure! You are welcome to join!